There is no doubt that some of us long for the days when we had a bed all to ourselves. However, it’s also possible that we feel this way because we’re sleeping on the wrong mattress. Choosing a mattress with your partner can be challenging as it’s common to find partners who have different comfort preferences. 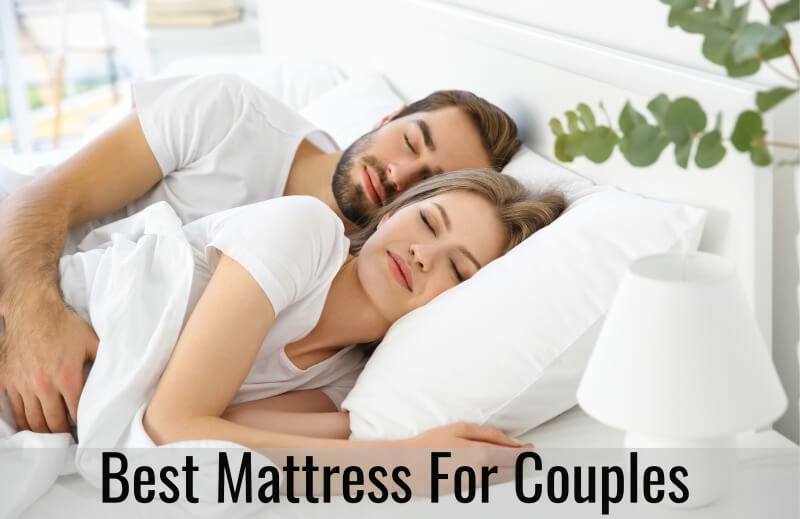 Thankfully in today’s market, there are some decent mattress options for couples. When shopping for a new mattress, there are two hurdles every couple must get past. The first is the harder of the two, it’s about firmness. Finding equal ground can often be a challenge when picking firmness. If you have a California split king then this doesn’t apply because you and your partner can simply choose what feels best without affecting each other. However, if you’re like the rest of us, couples need to pick one mattress with one firmness that suits both partners. The second challenge is about motion transfer. If you have never been woken by a sleeping partner then you are very lucky. Thanks to memory foam and advancements in innerspring engineering it’s possible to get a peaceful night sleep even with a restless partner. So, the key when shopping is to find a mattress that’s most comfortable for both partners and offers the most effective motion isolation. The Helix Dual Extra may be the most unique mattress we have ever seen. Designed specifically to offer two different comfort zones for two different users it was hard not to give Helix the top position. Here are a few other factors that lead us to pick Helix as #1. 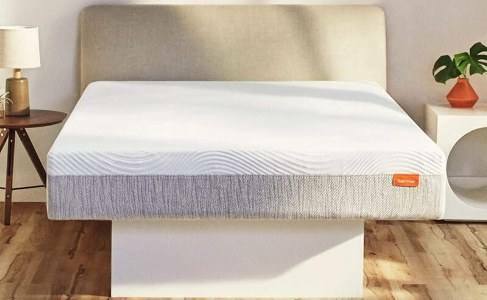 With 8 different firmness options, Helix Sleep may offer the most customizable mattress on the market. 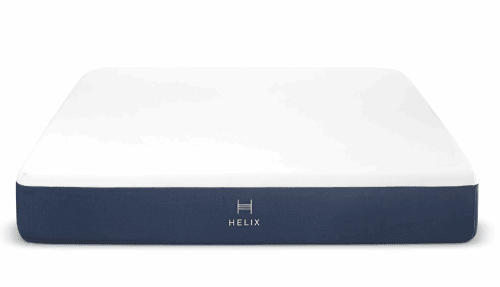 On top of this, Helix also offers a Dual Extra and a Dual Balanced mattress which has split firmness. One half of the mattress is firm while the other is soft. This unique feature is what landed the Helix Dual Extra at the top of our list. We have seen many mattresses with firmness options, but two firmness zones on one side? That’s impressive. The Helix Dual Extra is a hybrid that’s made up of a top cover, a comfort foam layer, transitional foam layer, wrapped coils, and a base foam layer. All together the mattress measures in at 10 inches thick. For the comfort layer, Helix uses their own dynamic latex foam hybrid alternative that does a tremendous job reacting and contouring to your body. Another thing that makes the Helix a great option for couples is its reinforced edge support. The perimeter coils in this mattress have been strengthened in order to increase the outer edge of the bed. This means you and your partner can utilize every square inch of the mattress top. Every Helix mattress is proudly made in the USA and is CertiPUR-US certified making it safe for you and the environment. The company also offers free shipping and returns, a 100-night sleep trial, and a 10-year warranty. Novosbed is an 11-inch, all foam mattress made up of four key components. An ultra-soft cover, a comfort layer, a transition zone, and a support zone. Although the Novosbed is available in 3 firmnesses, soft, medium, and firm, it has the same structure no matter the choice. The cover is a Tencel top that’s eco-friendly and washable. Tencel naturally draws moisture away from the body, ensuring the user has a cool dry night. The three foam layers: 2 inches of comfort foam, 2 inches of transition foam, and 7 inches of core support foam. 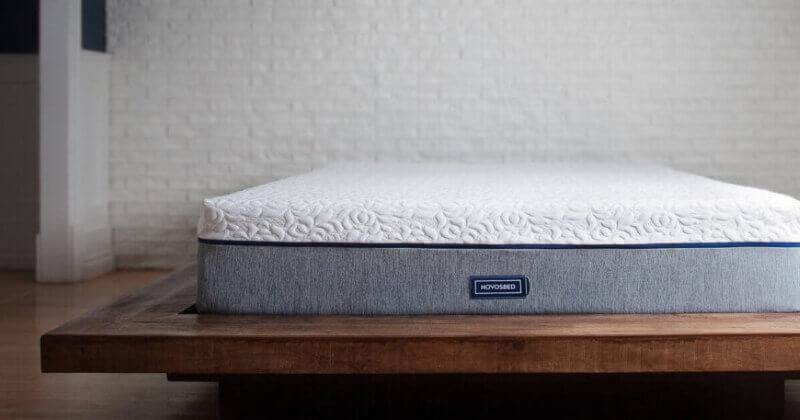 What got the Novosbed on our list of best mattress for couples was its Comfort+ kit. If by chance Novosbed’s firmness options don’t suit you or your partner, they will send you a free comfort kit that simply zips on top of the mattress and either softens or hardens the bed. With their 3 firmness options and Comfort+ kit, you and your partner are sure to find a comfort preference that works best for both of you. Altogether the Novosbed offers everything you would expect in a top quality mattress. Fantastic pressure relief, healthy support, good motion isolation, and nice breathability. Using premium textiles and high-density foams also ensure the mattress’s durability for years to come. Every Novosbed mattress is made in the USA and carries CertiPUR-US certification. There’s also free shipping to Canada and the USA. Novosbed is responsible for two major contributions to the bedding world. They were the first company to offer a risk-free 120-night sleep trial, 20 nights longer than the standard at that time. Also, they’re one of the first companies that decided to donate their returned mattresses to charitable organizations. Before Novosbed, it was standard for companies to try and resell returned mattresses or send them straight to the landfill. Although new, Tomorrow is supported by Serta Simmons, which is one of the biggest and most successful bedding companies in the United States. At Tomorrow Sleep, they believe the more you understand about your time in bed, the more you can improve your life outside of bed. The 10-inch mattress is offered in two firmnesses, medium-soft or medium-firm. Apart from a layer of dynamic response foam which is only included in the medium-firm option, the mattresses are the same. A top layer of cooling open-cell memory foam, then a layer of pressure relieving gel swirl memory foam, followed by wrapped coils and a final base layer of high-density base foam. An important aspect of the Tomorrow hybrid is their ventilated foam rail system. A high-density layer of foam wrapping the coils and providing the mattress with nice firm edge support. This mattress made our list for a few reasons, the firmness options, the good edge support, but most importantly the motion isolation. The Tomorrow hybrid rated excellent in motion transfer making it a great option for those who have a restless partner. The Tomorrow hybrid is manufactured in the USA and produced with hypoallergenic CertiPUR-US certified foam. Making it safe for the user and the environment and a great option for allergy sufferers as well. It also comes with free shipping, an amazing 365-night sleep trial, and a 10-year warranty. Muse Sleep was started from the realization that we are a diverse world filled with people of all different shapes and sizes. So, to accommodate our diverse world, Muse created a diverse mattress. The mattress is available in soft, medium, or firm and consists of four integral parts. First, a cooling cover that’s made with Muse’s unique diamond breeze yarn that is phase-changing to absorb ambient temperature and offer maximum coolness. Second, a layer of temperature regulating gel foam that not only regulates body heat but also molds to the body offering fantastic pressure relief and great motion isolation. Third, a responsive comfort layer which, depending on your firmness selection, offers varying levels of buoyancy and responsiveness. Finally, the base support layer of super dense foam that supplies ample core and edge support. As a completely foam mattress, it’s no surprise the Muse comes with top motion isolation. The thick layers of comfort and response foam make sure almost all vibration and movement is absorbed before reaching the base layer. Ensuring a peaceful night sleep for you, even if your partner is tossing and turning. The Muse mattress is made in the USA and is CertiPUR-US certified. The company also offers a 120-night sleep trial, free shipping, and a 10-year warranty. Also, your purchase helps others because Muse donates one mattress to charity for every ten mattresses sold. Marketed as the ultimate in comfort and luxury, the Saatva is engineered to offer luxurious support and maximum stability. 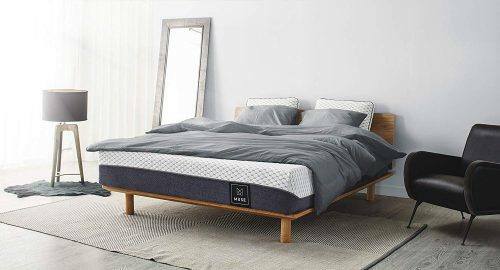 Although the bed-in-a-box model has been around a while, Saatva was one of the first online sellers of an innerspring mattress. Their special coil-on-coil design offers extra support and added body contouring. This specially designed mattress can be broken down into a few key parts. The Euro pillow top with organic cotton cover makes for extra cushioning and a fresh look. Individually wrapped coils act as the upper support system providing great airflow with minimum motion transfer, plus they offer focused support and pressure relief. Lumbar support enhancement in the center third of the mattress promotes proper spinal alignment. The steel coil base support work under the mattress for added support and also prevent sagging for the life of the mattress. Lastly, dual perimeter edge support prevents sagging and beefs up the integrity of the mattress around the edges. The Saatva is a great option for couples with its three firmness options and two profile heights. Choose between plush-soft, luxury-firm, or firm and a profile height of either 14 ½” or 11 ½”. Of course, the final choice is up to you but Saatva recommends their medium firmness as the best option for couples. As for the profile height, 14 ½ inches if you like to climb into bed or 11 ½ inches if you prefer to slip into bed. The Saatva is produced in the USA and is CertiPUR-US certified. So, it’s safe for users and the environment. Saatva also offers a 120-night sleep trial and a 15-year warranty with every mattress. With so many options out there, it can be extremely stressful when faced with picking just one mattress from the dozens of companies and hundreds of mattresses on the market. If that wasn’t hard enough, throw in a partner while you’re at it. Finding the right mattress for you and your partner could seem like a nightmare. Not only do you need to select the right company, but you also need to select the right size and firmness. To help with this situation, many mattress companies have created a comfort matching test. Designed to match your answers with the best fitting mattress. We really enjoy this added feature and think it truly helps which is why three of our five choices offer such a test. So, good luck in finding the mattress of your dreams!